The New York Times bestselling author of The Rational Optimist and Genome returns with a fascinating argument for evolution that definitively dispels a dangerous, widespread myth: that we can command and control our world. Human society evolves. Change in technology, language, morality, and society is incremental, inexorable, gradual, and spontaneous. It follows a narrative, going from one stage to the next; it creeps rather than jumps; it has its own spontaneous momentum rather than being driven from outside; it has no goal or end in mind; and it largely happens by trial and error—a version of natural selection. Much of the human world is the result of human action but not of human design: it emerges from the interactions of millions, not from the plans of a few. 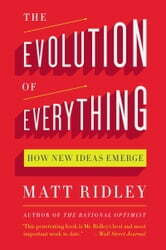 Drawing on fascinating evidence from science, economics, history, politics, and philosophy, Matt Ridley demolishes conventional assumptions that the great events and trends of our day are dictated by those on high, whether in government, business, academia, or organized religion. On the contrary, our most important achievements develop from the bottom up. Just as skeins of geese form Vs in the sky without meaning to and ter-mites build mud cathedrals without architects, so brains take shape without brain-makers, learning happens without teaching, and morality changes for no reason other than the prevailing fashion. Although we neglect, defy, and ignore them, bottom-up trends shape the world. The Industrial Revolution, cell phones, the rise of Asia, and the Internet were never planned; they happened. Languages emerged and evolved by a form of natural selection, as did common law. Torture, racism, slavery, and pedophilia—all once widely regarded as acceptable—are now seen as immoral despite the decline of religion in recent decades. 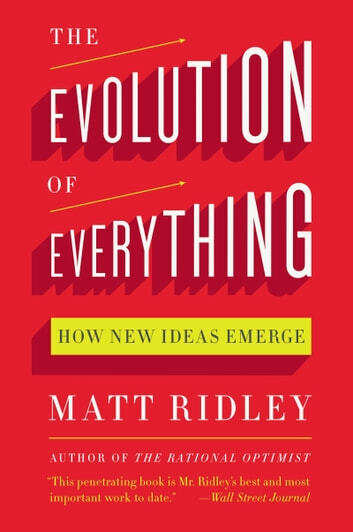 In this wide-ranging and erudite book, Ridley brilliantly makes the case for evolution, rather than design, as the force that has shaped much of our culture, our technology, our minds, and that even now is shaping our future. As compelling as it is controversial, as authoritative as it is ambitious, Ridley’s deeply thought-provoking book will change the way we think about the world and how it works.